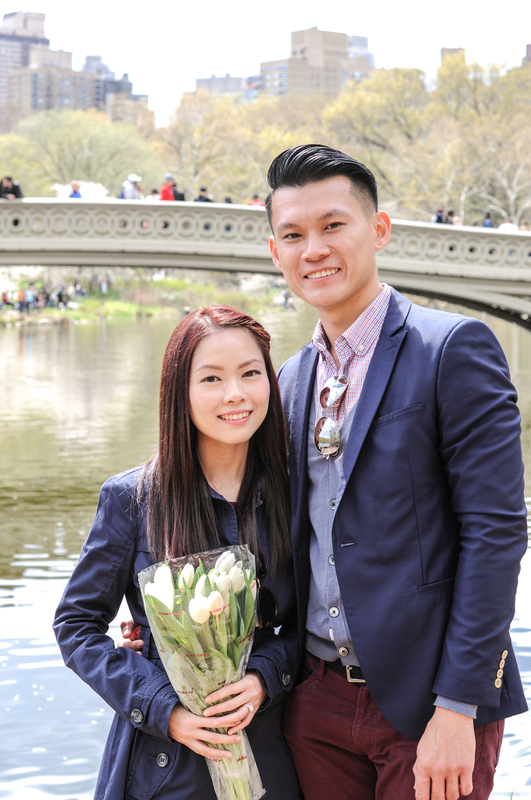 Shane led Sharon to an empty bench in Central Park, she looked up and was startled to realize there was a band and long white tulips waiting for her. 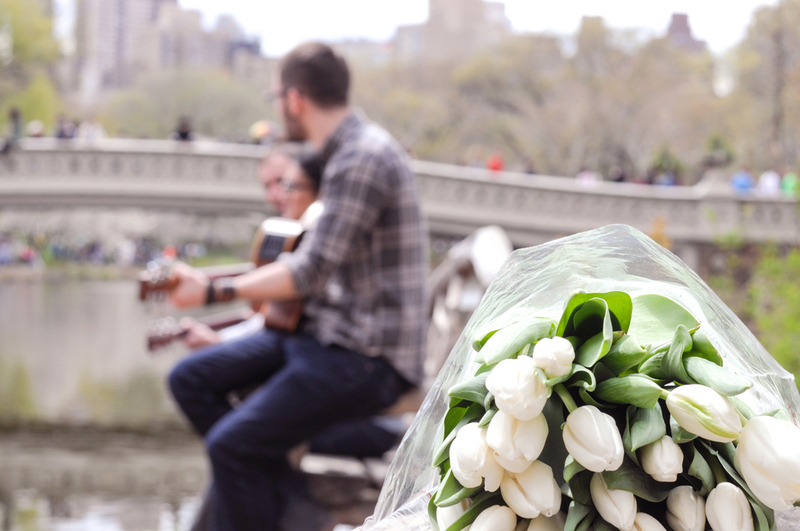 They sat down and held the tulips while the band crooned a love song. Shane put his arm around her and began speaking to her in low tones only they could hear. Wonder, love and nervousness filled their faces. Reaching into his jacket pocket, Shane slipped to the ground on one knee. He held out a ring box and asked those famously known words, "Will you marry me?" Sharon extended her left hand and answered positively. With that answer, the nervousness fell away and happy smiles along with small tears appeared. It was a most beautiful moment. When Shane showed me the plan for his wedding proposal to Sharon, I knew he was my ideal client. He was obviously in love and willing to take a risk for it. He planned and labored over every detail as best he could from across the ocean in Singapore! Shane and Sharon, I was so privileged to help coordinate and photograph your proposal. I love details and helping your proposal come together was really rewarding. You are both sweet and caring people; your relationship was a joy to watch. I wish you only the best in your marriage and lives!